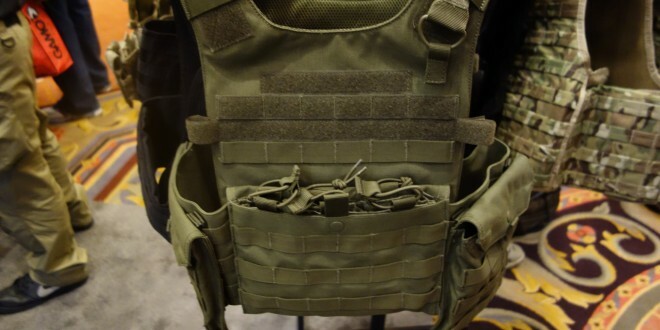 Condor Gunner Lightweight Plate Carrier: Minimalist Quick-Release Tactical Armor Plate Carrier/Tactical Vest (Body Armor) for Tactical Operations | DefenseReview.com (DR): An online tactical technology and military defense technology magazine with particular focus on the latest and greatest tactical firearms news (tactical gun news), tactical gear news and tactical shooting news. 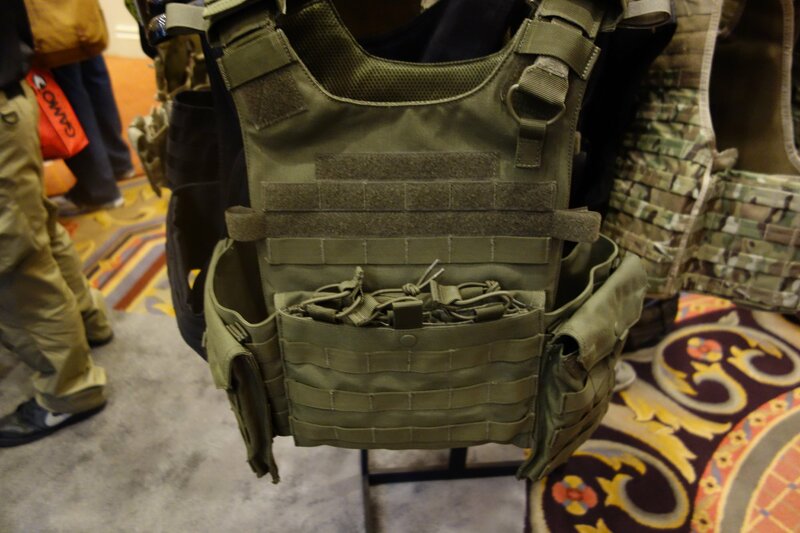 Back in February, DefenseReview reported on the Condor Sentry Lightweight Plate Carrier prototype, which has since become available on the Condor website. 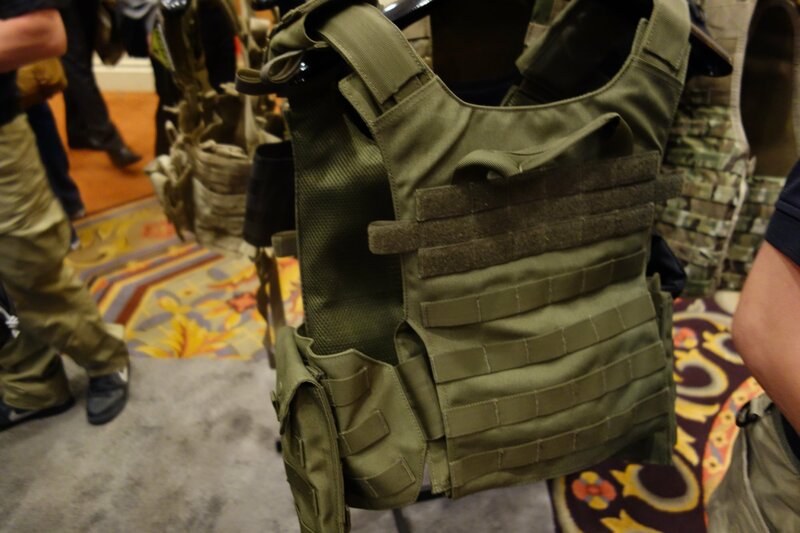 However, we forgot to publish the photos and video of the Condor Gunner Lightweight Plate Carrier, which is also an interesting vest, and which we also shot at SHOT Show 2014. Designed by Henry Ko of Condor Outdoor Products, the Condor Gunner Lightweight Plate Carrier is a true quick-release vest featuring a kangaroo pouch in the front for lo-pro/no-snag rifle mag (magazine) carriage of up to three mags across. The Gunner’s cumberbund attaches securely under the kangaroo pouch’s front flap. 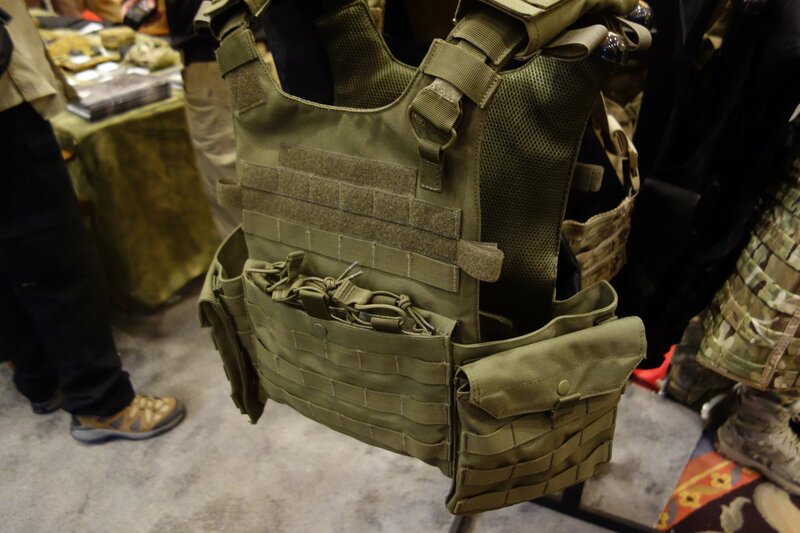 The Condor Gunner plate carrier’s quick-release system appears to be particularly well-designed, simple and strong. It activates with a simple straight down pull on the ring tab on the left shoulder, which is attached to a flat cordura strap. Once you pull that tab, the vest can be pulled right off in a second. It’s really fast and easy. Even better, reassembling the vest is fairly quick and easy as well, once you know how, by interlocking the ringed straps in the back of the vest. The video below shows Mr. Ko demonstrating both the quick-release function and vest reassembly, so check it out. It’s a nice little system. 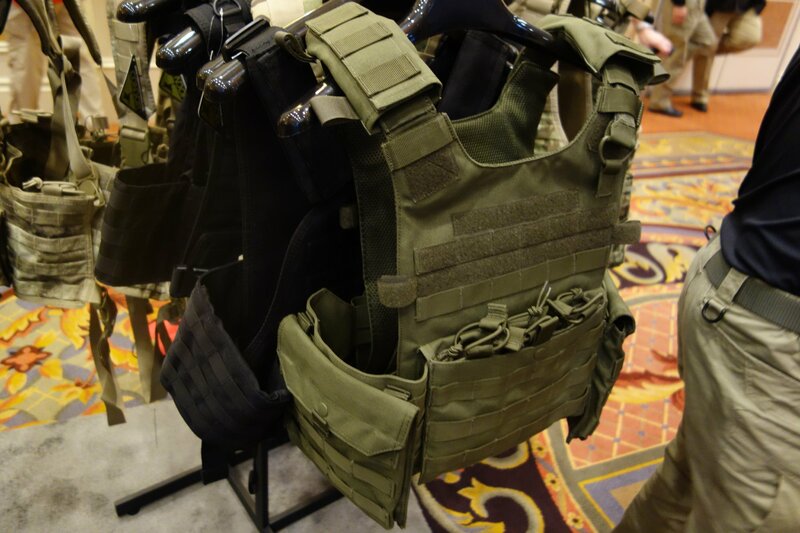 Overall, the Condor Gunner lightweight, quick-release tactical armor plate carrier looks well-designed and fairly minimalist. It’s currently avalable in OD Green, MultiCam camouflage pattern, Desert Tan and Black.